Probiotics are classically defined as a “preparation of, or a product containing viable, defined microorganisms in sufficient numbers, which alter the microbiota in a compartment of the host, and exert beneficial health effects in the host”. Their use can be traced back 10,000 years ago even before the awareness of probiotic microorganisms through the widespread availability of fermented foods such as beer, bread, wine, kefir and cheese. More recently, probiotics are used to influence the microbial balance specifically in the gastrointestinal tract, which is host to billions of diverse and metabolically active organisms. These microorganisms have been found to influence metabolic function, inform the immune system, protect against pathogens, affect brain function and even steer genetic expression through epigenetic mechanisms. Probiotics have played a key role in the competitive inhibition mechanism where the “good bacteria” outweigh the “bad bacteria,” and theoretically shift the microbial balance towards benefiting the host’s overall health. However, some probiotic strains promote the biological mechanisms that support the health of specific tissues and organs. In other words, rather than toss probiotics down the gullet, hoping they stick and promote overall health, research is showing that some strains demonstrate targeted biological activity. These two powerful target-specific strains possess sinus structure and tissue healing capabilities, which help fight against pathogens and unwanted allergies. According to a study from the Academy of Medical Sciences of Ukraine, L. delbrueckii and L. rhamnosus were examined through in vitro tests to check the inhibited growth of specific bacterial and fungal pathogens and assess adhesion properties to nasal epithelial and adenoid cells. In vivo trials were tested on murine models in humans to determine the ability of individual strains and their combinations to show immune activity, which included antibody production and regulation, competitive exclusion of pathogens such as bacteria and fungi, and its ability to treat chronic sinus issues. The results indicated that these strains showed high levels of antagonistic activity towards microbes and demonstrated acid and alkaline tolerance. The formulation that included L. rhamnosus increased the number of tonsillar cells producing Ig, and L. delbrueckii helped enhance activity of the natural cytotoxic tonsillar cells against xenoerythrocytes. In addition, L. delbrueckii increased the number of tonsillar cells with surface antigens. These formulations also triggered valid immune responses by TH1 type and repressed fatty cellular infiltration of the tonsils tissue. Also shown was the influence on non-lymphoid elements associated with allergic reactions. L rhamnosus showed effective activation of humoral immune response, and L. delbrueckii demonstrated mostly cell-meditated immune responses. Furthermore, physiologic flora was restored, and pathogenic and opportunistic flora was reduced 4-6 times---and the immune system was normalized. These potent strains promote upper respiratory tract health, and have a profound influence on the immune system. Other examples of probiotic strains exerting influence on specific organs and tissues in the body include Lactobactocillus sakei and Lactobacillus paracasei. Found in a variety of foods, L. sakei is able to combat the growth of pathogenic bacteria that can negatively impactone’s health. This healthy bacterium has also been shown to promote immunity. In fact, according to a study in the Science Translational Medicine, L. sakei protects against Corynebacterium tuberculostearium, a bacterium that may be harmful. This shows that sinus health is reliant on the composition of resident microbiota. In another study from the College of Medicine at Hallyn University, a group of allergen-induced mice were studied to identify the improvement of allergic dermatitis made by L. sakei 65. The research found that this particular strain was not affected by gastric acidity and bile. This study also demonstrated that mice who received L. sakei 65 recovered faster compared to the controlled mice. In addition, this powerful strain has helped skin condition related to allergies. For instance, in a study from the Journal of Applied Microbioogy, L. sakei is able to regulate immune responses and is used to manage allergic responses. The other potent strain that can positively impact allergy-prone individuals is L. paracasei. Found in the oral and rectal mucosa, this strain works in the gut to improve the digestive system. For example, according to the Department of Food Science and Biotechnology, L. paracei supports those with lactose intolerance and enhances the bioavailability of nutrients. This strain helps to promote immunomodulatory effects and supports the management of allergy symptoms. L. paracei helps regulate cholesterol levels and blood pressure, while preventing gastric mucosal lesion development, thus alleviating allergies and impeding fat tissue accumulation. In addition, according to Clinical and Translational Allergy, oral administration of L. paraceasei greatly improved allergic immune responses. For instance, L.paraceasei NCC 2461 significantly reduced nasal congestion in subjects with a history of allergic rhinitis to grass pollen. Probiotics have had a long history of promoting many aspects of health, and people continue to be keen on eating foods that help nourish the good bacteria in our bodies. 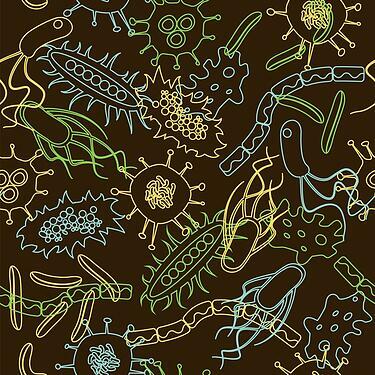 Indisputably, microbes are major players in our overall health. With supplementation, however, it seems that as we better understand the role of the bacterium, the trend may be moving more towards utilizing strains that target the health of specific tissues and organs. Liubov Sichel, Diana Zabolotna, Dmytriy Zabolotny. Perspectives of Probiotic Therapy in Sinus Infection, Lytic Enzymes, Academy of Medical Sciences of Ukraine prof. O.S. Kolomychenko Institute of Otolaryngology, 3 Zoologichna str., Kiev, 03680, Ukraine.